I'm like a trailer hound so a lot of times I'm obsessively checking Facebook, Twitter and Youtube for new movie trailers. Usually I find out first about a new trailer on Facebook. I don't always check or get my notifications right away so sometimes I'm left gobsmacked, wondering "HOW IN THE EFF DID I MISS THIS?!" I was just making a joke, but Carol Danvers has been Captain Marvel for about six or seven years now. See the problem here is that Shazam is ALSO Captain Marvel, so we were talking about 2 different movies without knowing it. Right, but one of them is a DC movie, so the simple solution is to just not talk about it. But the movie (at least in the trailers so far) doesn't mention that, and it's not the title. So you'd have to actually be at least somewhat of a comic book nerd to even know that. And yet, DC decided to name their movie Shazam and not Captain Marvel. On Facebook I am seeing a lot of trolls trying to incite arguments/debates about who's the REAL Captain Marvel, or whatever, point being right now all I care about is Marvel's Captain Marvel. All DC fans are doing is making me more glad that I am deciding to let go of anymore DC films. Yeah, that's why I called out comic nerds in my original post. I'm actually more interested in Shazam than most DC titles because Jeff Smith (of Bone fame) did a memorable miniseries starring him that I adored. But as for which movie I think will be better, I'm sure the winner is going to be Marvel's Captain Marvel. 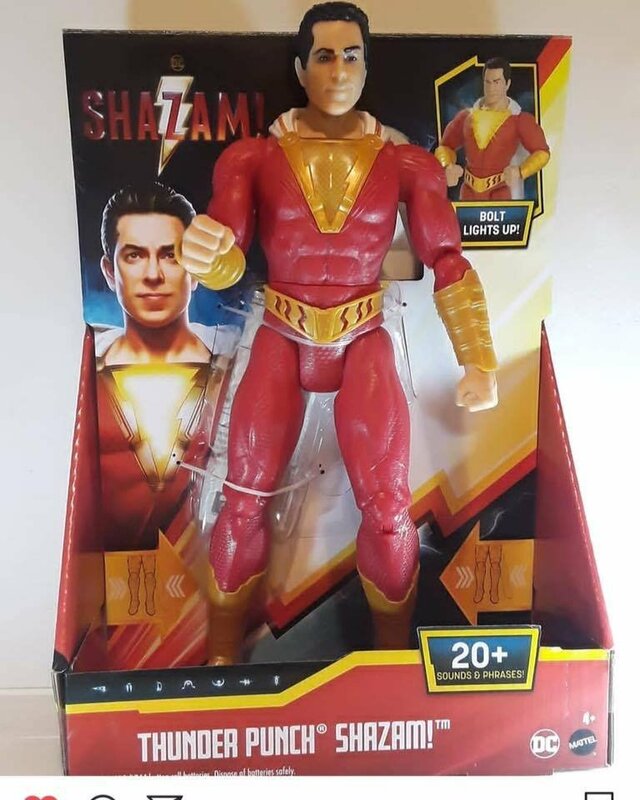 Umm...why does action figure Shazam's face look like Ryan Reynolds? Is that not what you'd expected to see? If I'd had my waaayyyyyy... I'd have it on BLU-RAY!! Why didn't my Batman figure come with 20 sounds and phrases? So obviously nobody buys Funko Cereal for the cereal, but they could try a LITTLE bit. It tastes like Froot Loops, but without the Froot. Lol. Pretty sure Isaac's trying to deny he was ever on the Rifftrax forum.